(Bass Builders). 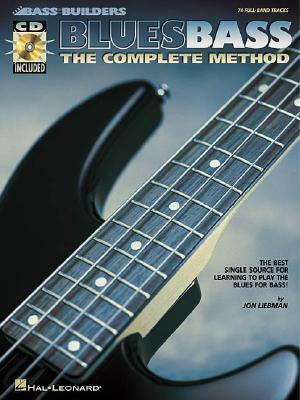 The best single source for learning to play the blues for bass with online audio tracks for practicing! Styles covered include: Delta blues, Texas blues, New Orleans blues, West Coast blues, Chicago blues, boogie woogie blues, jazz blues, and more. Also covers 12-bar blues, 8-bar blues, 24-bar blues, minor blues, tags & turnarounds, 12/8 feel, swing, shuffle, jazz, pop, slow blues, funk blues and R&B. The audio is accessed online using the unique code inside each book and can be streamed or downloaded. The audio files include PLAYBACK+, a multi-functional audio player that allows you to slow down audio without changing pitch, set loop points, change keys, and pan left or right.